In this write-up, we will profile Mint Mobile — an online-only MVNO who specializes in bulk savings. 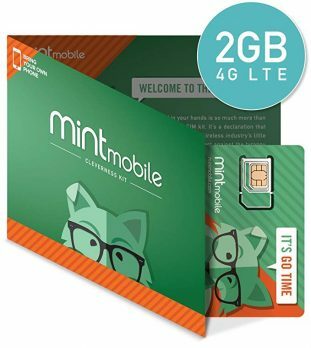 Mint Mobile (previously Mint SIM) was launched in 2016 by Ultra Mobile, and utilizes T-Mobile towers to provide nationwide coverage. Mint exists online-only as they trumpet the savings passed on to consumers by not having to maintain a physical storefront. Known as one of the most inexpensive providers within its category, Mint accomplishes this with a bit of a different take on prepaid plans. By selling data in bulk (blocks of months), customers receive deeper discounts than typical monthly fare. As mentioned, Mint offers different packages in bulk. In general, all plans include unlimited talk, text and data. Subscribers choose how much high-speed 4G LTE data they need on a monthly basis. As you can see the longer the term, the more cost-effective it becomes. Even if you start with the special promo pricing for 3 months, if you then agree to a year-long commitment, you will get the introductory monthly rate. Customers can purchase unlocked devices and potentially finance through SmartPay, but Mint started out as a “Bring Your Own Phone” carrier and it is still a highly-promoted option. Mint is compatible with most unlocked GSM devices. You can check your IMEI to get started. Mint offers a 7-day money back guarantee when test driving its 3-month plan.